I love Suffolk; I think it’s a little bit overshadowed by Norfolk as a mini break destination, but Suffolk has so much to offer. It’s only an hour and 10 minutes from London on the train and is full of beautiful villages and charming seaside towns. 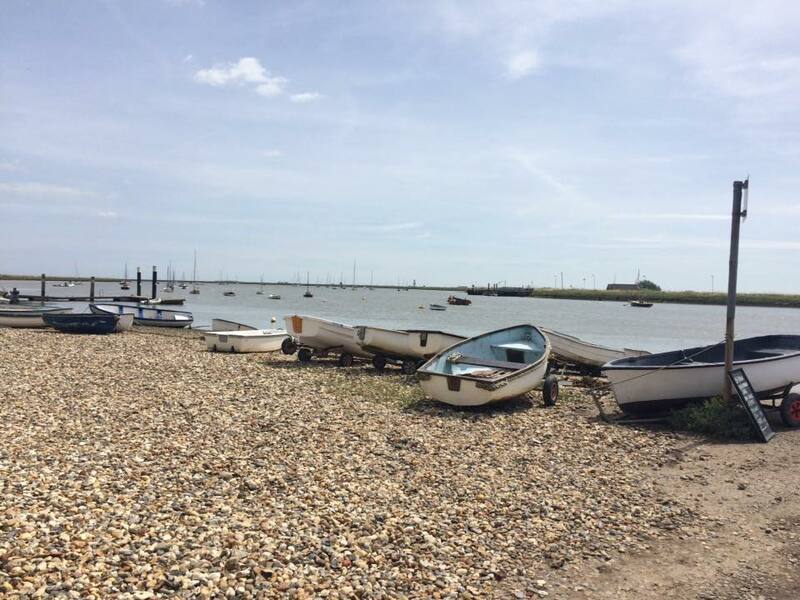 This is by no means an exhaustive guide to Suffolk and for this first instalment I have decided to write about the Suffolk coast line, which is recognised as an area of outstanding natural beauty. 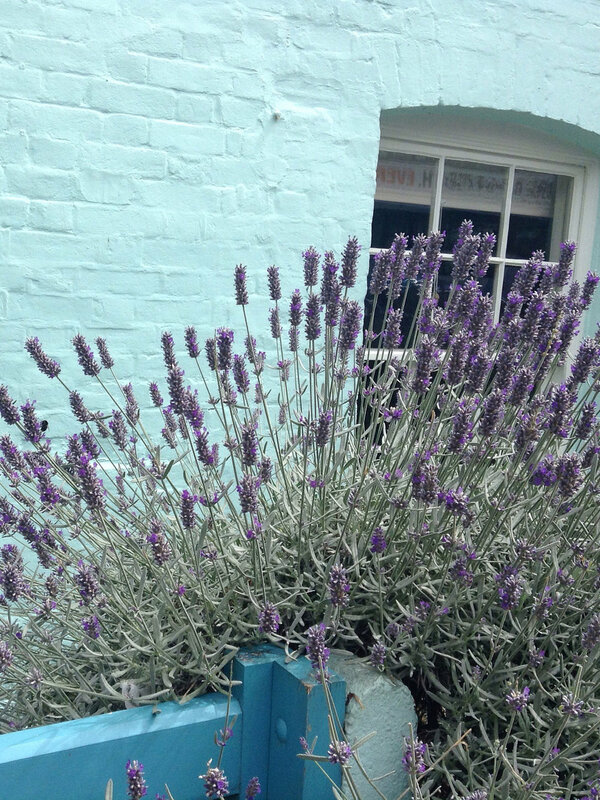 Aldeburgh is a lovely little seaside town with a pebble beach, colourful houses, boutique shops and a nostalgic British charm. It also has a generous helping of art with Maggi Hambling’s scallop shell and Antony Gormley’s figure on the Martello Tower, plus several good art galleries, including Thompsons. 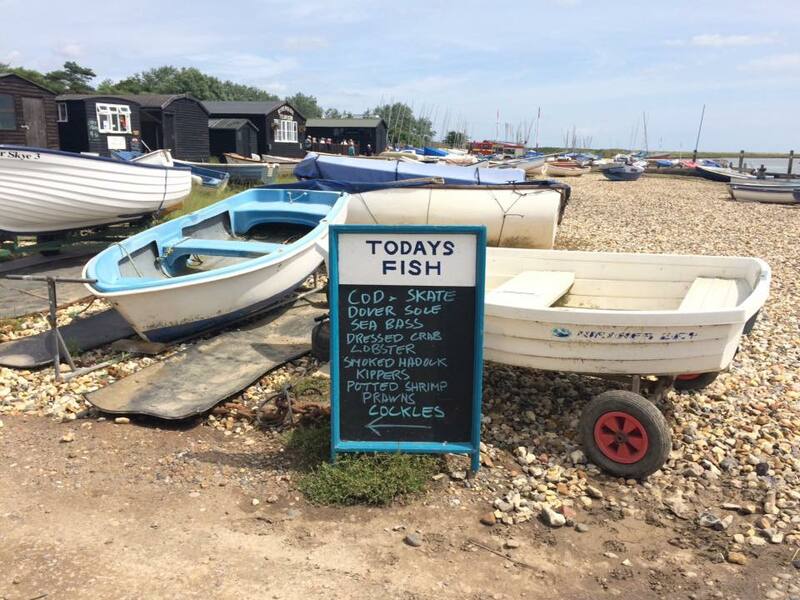 Aldeburgh is known for its fish and chips, with queues stretching up the road at lunch time. 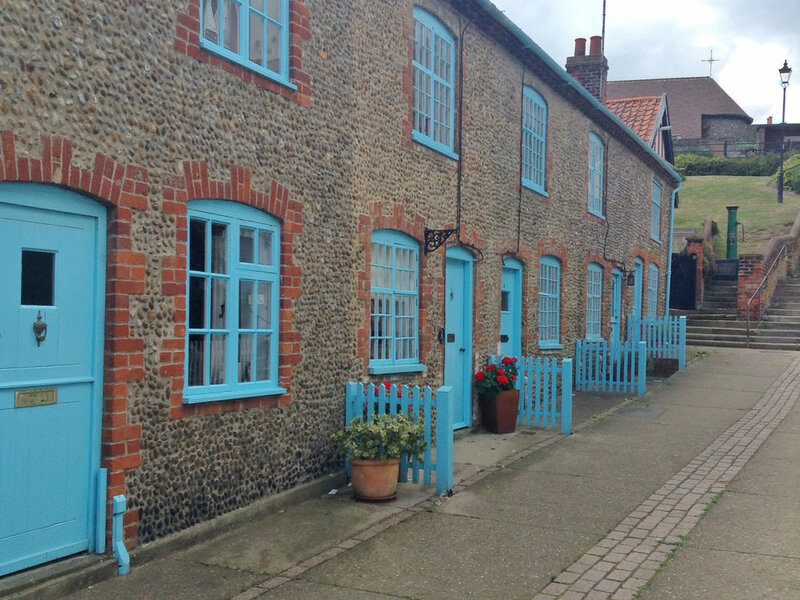 Walberswick is a favourite place from my childhood. I have fond memories of going crabbing with my little brothers and playing in the sand dunes. The highlight of Walberswick is definitely its slightly wild, windswept feeling beach with sand dunes aplenty.It also has extensive heath and marshlands with picturesque herds of dosing cows. Around this part of Suffolk there is a trend for black painted wooden clad buildings, which I love as they look so striking against Suffolk‘s flat landscape.There isn’t very much to the village of Walberswick, but I recommend having lunch at The Bell or The Anchor. Across the river Blythe is Southwold. You can walk across the bridge or get the ferry. The ferry is simply a wooden dingy sailed backwards and forwards by a man who charges £1 per person, dogs are free. The journey only takes a few minutes and it’s lovely to take part in something that has been a Walberswick tradition for so long. Southwold is a very pretty town with a great selection of shops, cafes, pubs, bakeries and galleries. Highlights include The Swan Hotel, which has been recently renovated and has beautiful rooms, and the lighthouse. 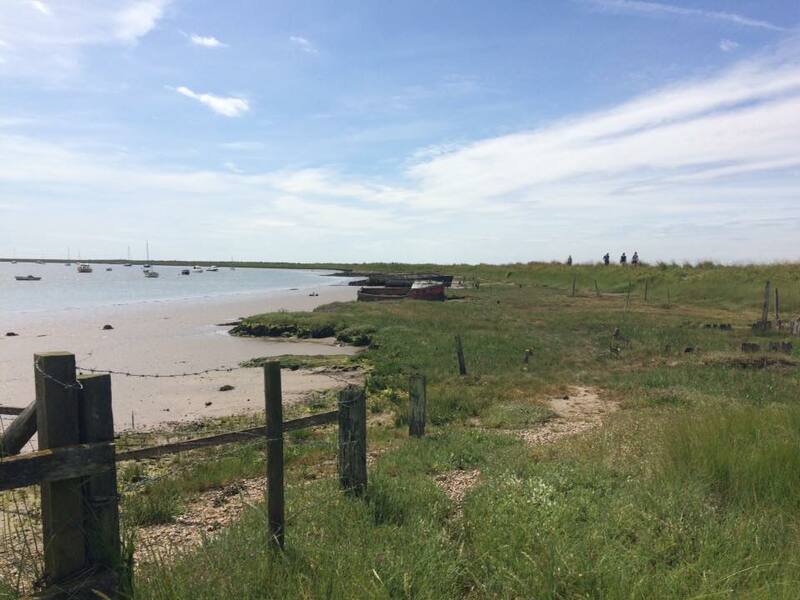 Thorpness is a strange little village by the sea. It mostly consists of holiday cottages built in the early 1900s, the Meare, a shallow yet extensive man made lake for boating, almshouses built in the 1920s that looks like they could be mediaeval, and the house in the clouds, which was originally built to hide the eyesore of having a water tower in the village. In 2003 it was named Britain’s weirdest village, so it's not just me that thinks it's a bit odd. It also has a stretch of quiet and windswept beach. It’s definitely worth paying a visit to see the house in the clouds and go boating on the lake. 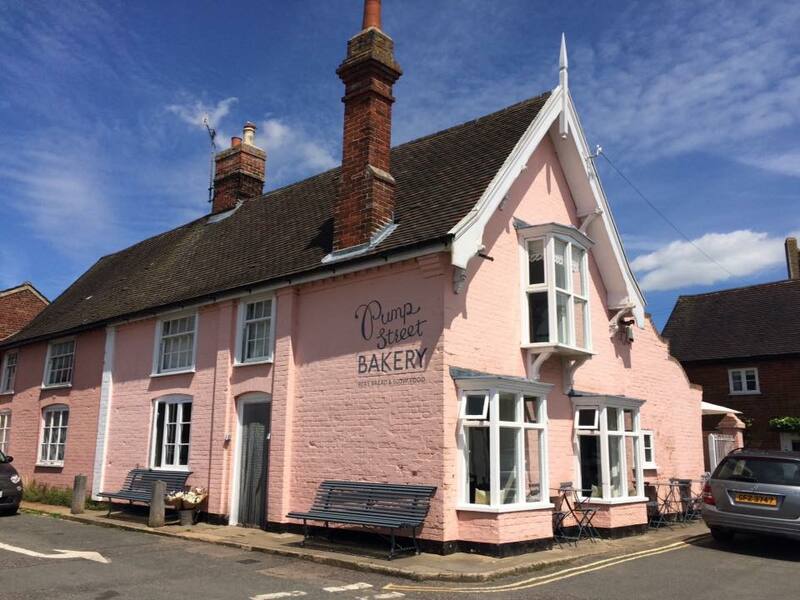 Orford is a small village near the coast, on the banks of the river Ore. It’s famous for its castle and the excellent Pump Street Bakery. I definitely recommend popping in for a hot chocolate or a sausage roll. You might recognise its distinctive pink building from Instagram. 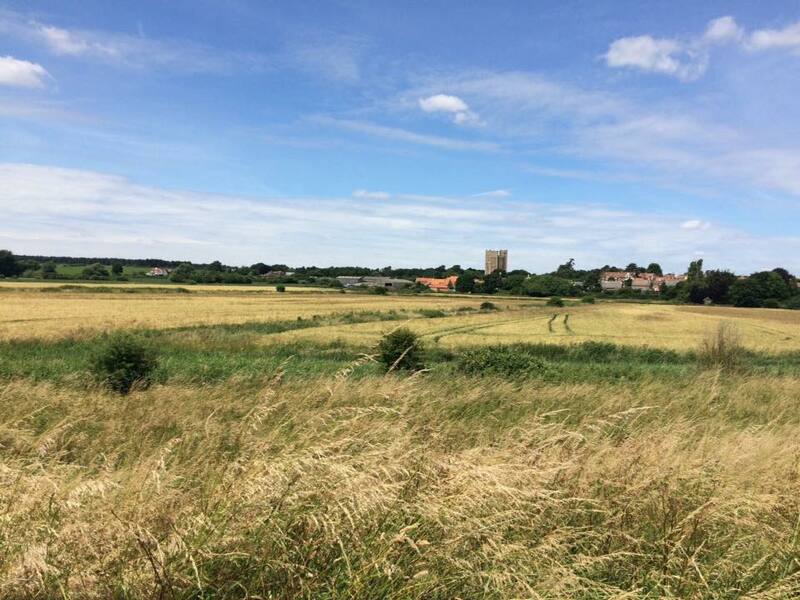 Not far from Orford you'll find Snape Maltings, a converted barley maltings turned arts venue. This complex of buildings houses everything from concert halls, galleries, vintage shops, print studios and cafes, set in stunning natural surroundings. It has a couple of excellent pieces of outdoor sculpture, which work so well as part of the landscape. Whilst Aldeburgh, and Southwold feel distinctly upmarket, Felixstowe definitely isn’t, but that’s where its charm lies. There is something nostalgic and a teeny bit tacky about Felixstowe. It’s a very affordable place to eat and drink, with a scoop of ice cream costing £2.20 rather than the £2.95 you'll find in Southwold. I particularly recommend the Little Ice Cream Company for excellent ice cream. Felixstowe boasts a newly renovated pier and a long stretch of pebbly beach with colourful beach huts. At the far end of Felixstowe the beaches are a bit more wild and dog friendly through out the year. I hope you have enjoyed this first instalment. I'm hoping to write another covering the lovely villages you find inland at some point.